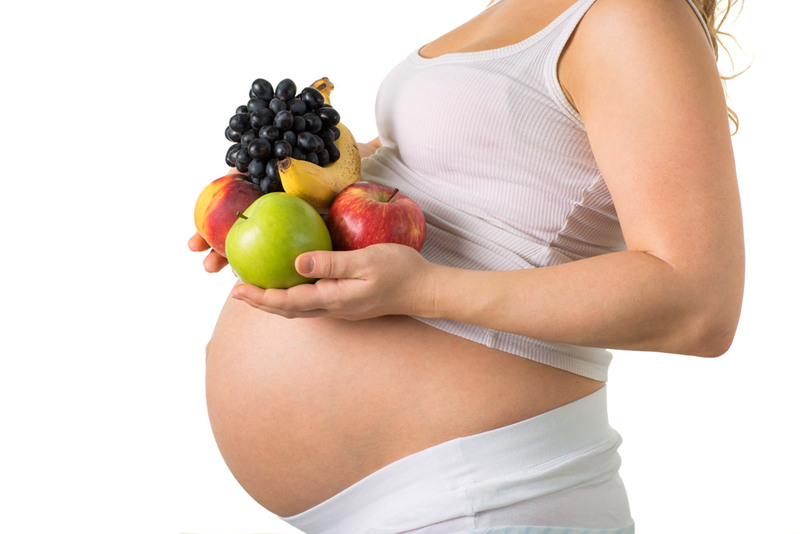 The diet of pregnant women should provide adequate amounts of energy, proteins, fats, carbohydrates, vitamins and minerals. While planning maternity, it is worth thinking about changing your eating habits in advance. However, if you failed to do it before you got pregnant – waste no more time – change your eating habits today because a well-balanced diet is the fundamental issue. Recent studies suggest that what a pregnant woman eats affects the health of the baby not only in the early years but also in the baby’s adulthood. The babies born to mothers who cared about a healthy diet are less susceptible to civilisation diseases, such as diabetes, hyperlipidaemia, ischemic heart disease, overweight and obesity. A proper diet during pregnancy reduces the risk of numerous complications, such as premature childbirth, pregnancy anaemia, low birth weight, pregnancy-induced hypertension or congenital defects in the foetus. Specialists and dieticians underline that the diet of a pregnant woman should be in line with the so-called food pyramid. According to this pyramid, our diet – also during pregnancy – should be based on fruit and vegetables (it is important to observe the proportion of ¾ of vegetables and ¼ of fruit). During pregnancy, importance should also be attached to protein-containing products, such as fish, meat (poultry, beef) and dairy produce. In the diet of pregnant women, protein is essential to ensure that the foetal, placental and maternal tissues are properly formed, and foetal metabolism maintained. According to experts, during this particular period, it is also necessary to cut down on sugar, salt and fat in favour of consuming more fibre-rich products (bran, oatmeal, groats, natural cereals, paddy rice, brown and wholemeal bread). liver (contains a lot of cholesterol and excessive amounts of vitamin A). http://compositamama.eu/wp-content/uploads/2017/02/photo_wpis4.jpg 667 1000 composita http://compositamama.eu/wp-content/uploads/2017/02/logo.jpg composita2017-02-27 15:24:342018-11-21 15:53:41Pregnancy – when to start eating healthily and what to eat? Truths and myths about breastfeeding. Antenatal (parent craft) classes – 100% YES.